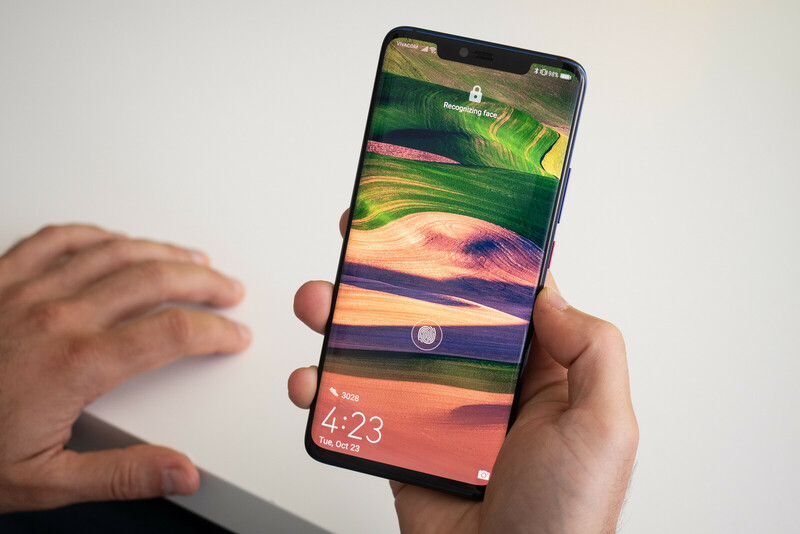 The Huawei Mate 20 Pro is one of the most surprisingly good new phones around and I have been using it in and out for quite a while now, so it's time to take a closer look at the features that really stand out and make me go back to this device, as well as to the downsides. The Mate 20 Pro is a fast phone that works well and I love this, but there is something else that I appreciate even more: its the form factor. The Mate 20 Pro is a tall and narrow phone that fits very nicely in the hand and is not quite as gigantic as many other flagship phones around. In fact, being as narrow as it is, the Pro is not too hard to use with one hand when you need to and that's a big plus. 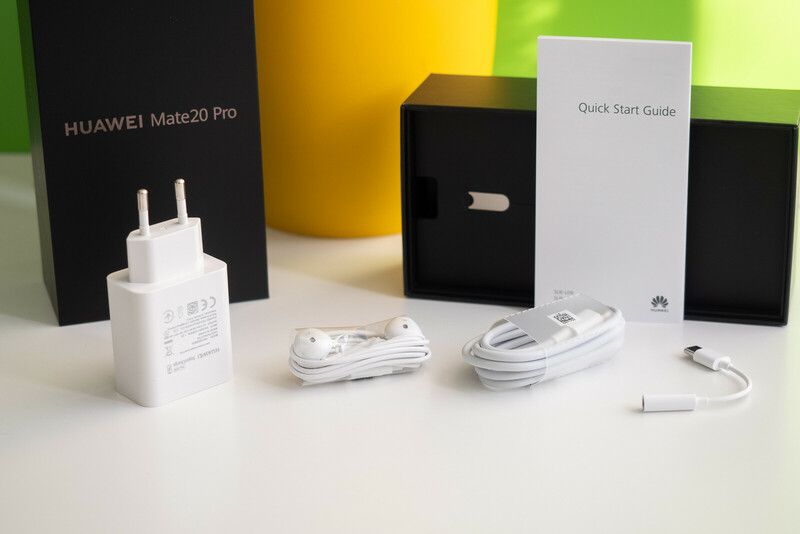 Huawei is one of very few companies that make their own chips and it has made a big leap forward with the Mate 20 Pro. The processor inside the phone is the Kirin 980, the first chip on any Android phone to feature a next-generation, 7-nanometer manufacturing process. And this is a big deal: benchmarks show that this chip is faster than the Snapdragon 845 found in most flagships today and the Mate 20 Pro does indeed feels fast and very responsive. People are different, but yours truly suffers from a very well-pronounced smartphone addiction and often has trouble falling asleep without some tunes or a YouTube video blasting in bed. Naturally, this often makes me forget to plug in the cable to charge the phone at night and often results in a surprise in the form of a nearly drained battery the next morning. Thankfully, Huawei's SuperCharge is an absolute life-saver in those situations. A quick, 30-minute charge while I am busy preparing my breakfast, and the phone gets the needed charge to last through the whole day. This is such a life-saver. Most flagship phones these days come with OLED screens that tend to look more lively and vibrant than LCD screens, but not all and we are happy to say that the Mate 20 Pro is among the better looking ones. 5. Love: comes with a case in the box! Working at PhoneArena, I have witnessed shattered screens on the most expensive phones way too often and whenever I get to test a loaner phone without a case on it, I feel a bit nervous. 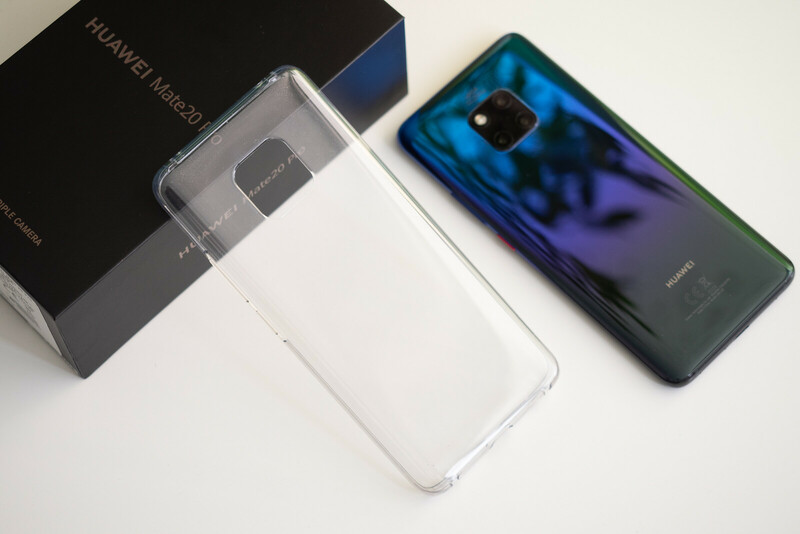 That's why little things like the basic transparent silicone case that comes in the box with the Mate 20 Pro goes a long way and is hugely appreciated. You can always get a fancier leather case later on, but it is those first few days when you are not yet accustomed to the new device that you are most likely to drop it and crack the screen or the back. That's when you need a case. So thank you, Huawei, for this nice little touch. 1. Hate: There is so much bloatware on this phone! The Mate 20 Pro comes with a bunch of bloatware apps on board. You can hide them in folders and out of sight, but why are they there in the first place? 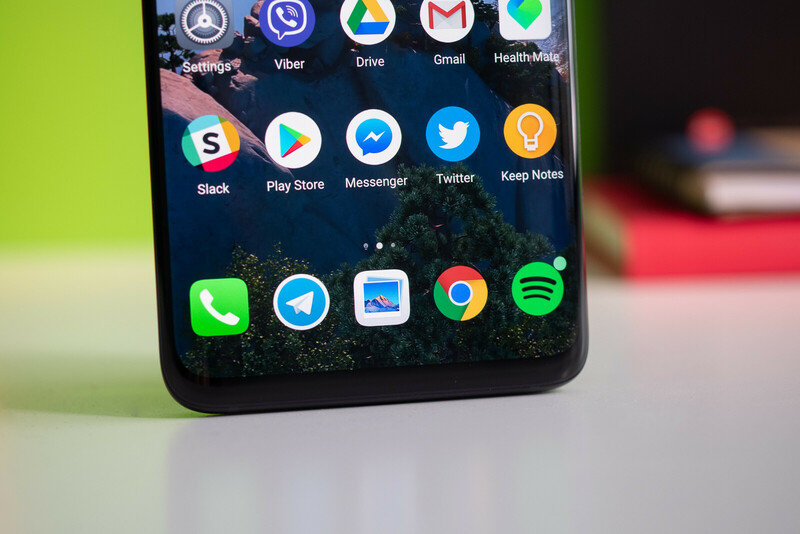 Nobody likes bloatware, but the Mate 20 Pro puts it right in your face and with no app drawer by default, managing those apps is a pain. Gesture navigation is the way of the future. It makes for a much more fluid way to interact with your device than tapping on buttons and it can feel excitingly futuristic. That is if you do it right. 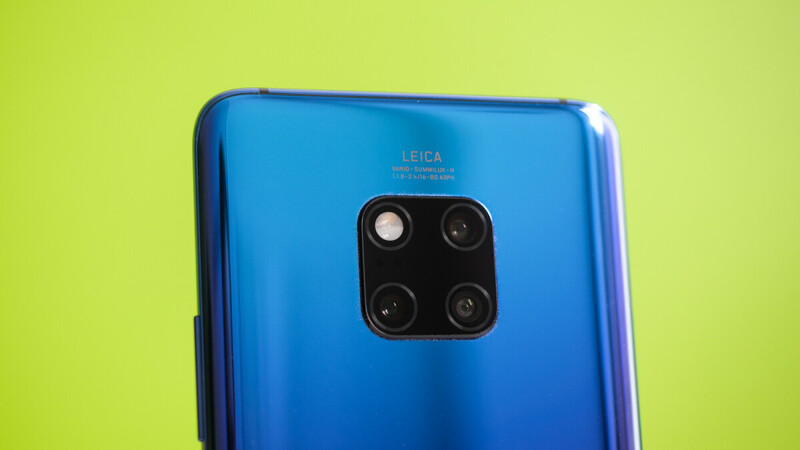 Huawei has not done it wrong and it mostly works okay, but there are a few hiccups. For example, why is it so hard to pull the recent apps from the home screen? It's almost impossible! And what's with the jittery animations when closing and opening apps? We wish Huawei ironed out these tiny, but so noticeable hiccups in the gesture experience on the Pro. There is no swipe down to quickly bring notification panel, a small thing but once you have such a tall phone, it really becomes annoying very quickly to reach all the way up to see what notifications you have. 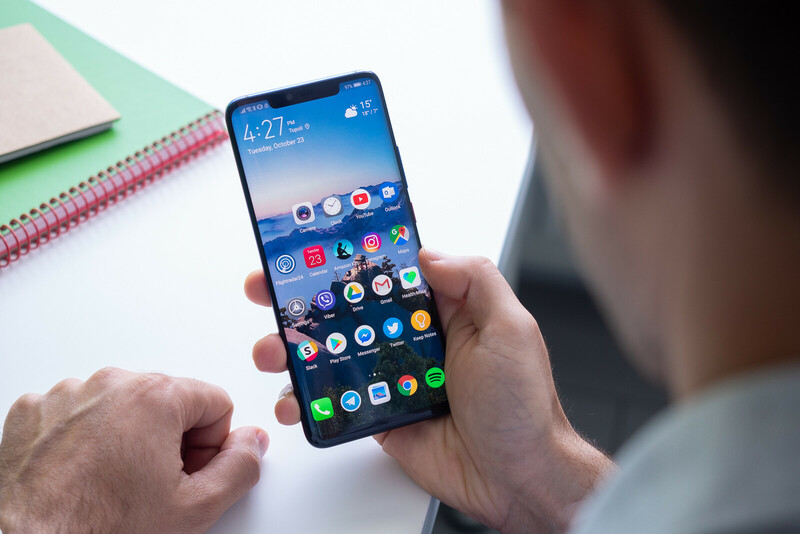 Most other Android phones offer an option to enable quick pulling the shade with a swipe from any place on the home screen, but in the Huawei way of doing things, you can only have quick search, but no quick access to the notification dropdown. 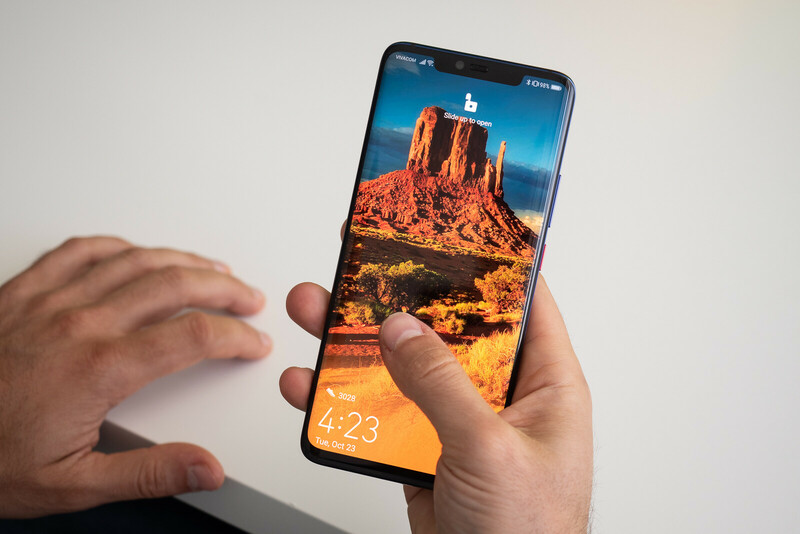 We have already told you that in-screen fingerprint scanners like the one on the Mate 20 Pro do work, but are slower and not quite as accurate as traditional fingerprint readers. Thankfully, you have 3D face recognition on board as well, which works even better and we ended up using that as our preferred security system. However, we can't get over the fact that raise to wake does not always kick in when needed. Raise to wake is of such a crucial importance for the face recognition experience: you just lift up your phone, the screen lights up, the cameras recognize you, and you're in. If one element misfires, like the raise-to-wake, the whole routine is interrupted. And for something as basic as raise-to-wake, we really expect Huawei to improve this in the future. 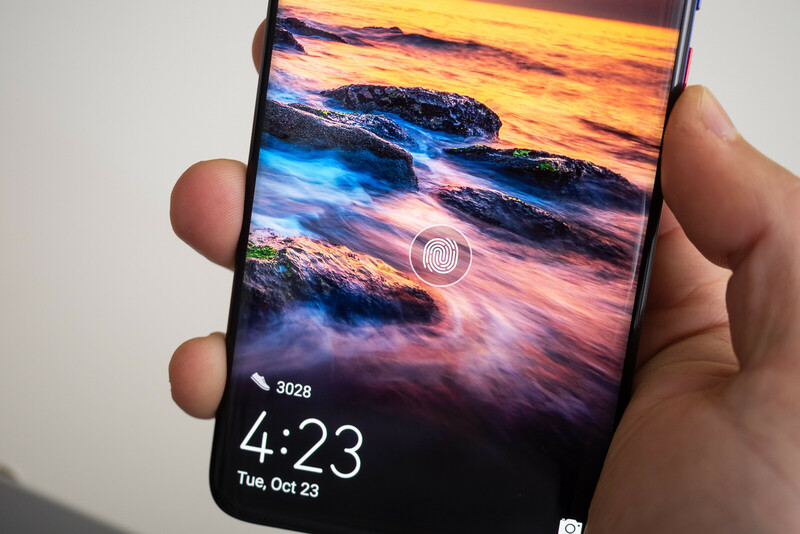 Huawei's Emotion UI is different than many other interfaces that you might be used to, but it has also improved a great deal with this latest iteration on the Mate 20 Pro. However, some bugs still remain and it is particularly frustrating to see such bugs on a phone that costs $1,000! For example, after trying out a few third-party wallpaper apps, now I can't even change the lockscreen wallpaper on the Mate 20 Pro! There are a few questionable hardware decisions too: for example, the microphone on the bottom is located right next to the SIM card slot, so you can easily prod the microphone and damage it rather than get the SIM tray open. Those are minor things, but if Huawei strives for perfection, it has to fix them. Comes with a case in the box! There is so much bloatware on this phone! Can you fix most of that with a custom launcher? Not bloatware. You might have to root your phone. You're lucky if huawei share mate 20 pro's source code this year. 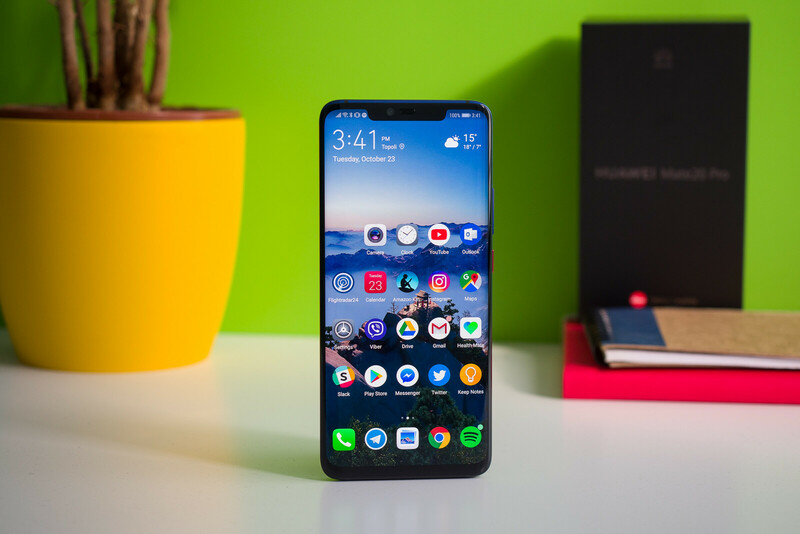 My cousin return his mate 20 pro, screen dimming issues are still prevailing and emui is in his words "the most s**tty, non-user friendly ios clone I've ever used." He ended up with oppo f9 anyway. Huawei has really terrible quality. That’s hilarious coming from a Pixel fan. It's surprising how he managed to find the even worse iOS clone UI and switch to it, I'm not a big fan of EMUI but What I can say for sure is that Color OS is a complete disaster. I know this because one of my friend uses R11S and he absolutely hates its UI. The screen dimming issues is not hardware problem, this is the reason i dumped my Mate 10 Pro and bought the OP6T instead of the 20 Pro, it has the same problem. This leads me to conclude that it is their crappy software, and when i say crappy, i mean it's a bug that has existed for more than a year now on an older generation and passed on to the new generation and they still can't fix it! Were there any screen issues, such as the green glow around the edges of the screen in lower brightness? I heard this was a big problem for this phone but not a lot of reviewers are commenting on this issue. I have the mate 20 pro and I was very fortunate that I don't have this issue in my phone. And yes it is a very big problem, a lot of people are suffering from this issue and returning their phones because of it. This is an issue you will get if you have a model with LG panel. 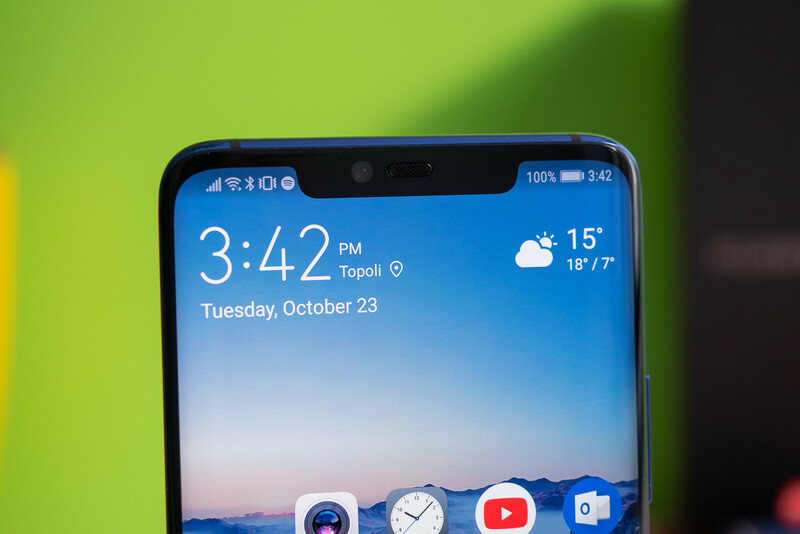 Probably those reviewers were lucky and got the one with BOE panel, or they are just being quiet about it so that they won't lose their right for an early access to Huawei's future flagships. Waiting for the day when PA does an article like this about the latest IPhone. I've been using this phone for almost 2 months now, and my two greatest complaints are the following: 1. Why are the volume control buttons are on one side with the power on button and why so close? I usually do misclicks on them. 2. Why is the bottom speaker is in the middle of the botton side? This is the most awkward place to put it, because if I tried to use the phone in landscape mode, I ususally covered the speaker and the sound gets muffled. Most of the hated features listed here are could be fixed with software updates though. This proves u r lying about owning an iPhone! 1. The volume buttons are on left side and power button is on right side of the latest iPhones. 2. The bottom firing speaker is on the bottom right if I remember correctly. And not in the middle. 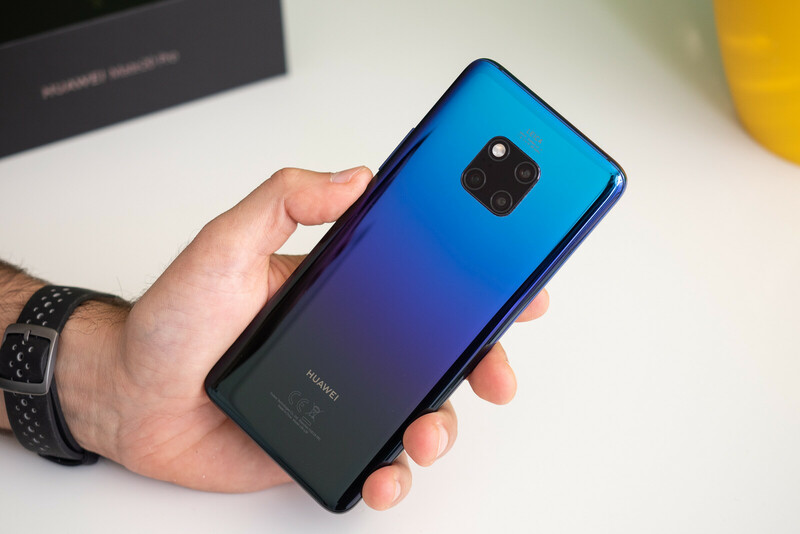 Such a shameless liar u r.
Jesus, with "this phone", I was referring to the Mate 20 Pro which this article is about. Bloatware didn't bother me when I had this phone, majority of them can be uninstalled and the rest are there to stay like every other android phone, but you can disable them if you wish. 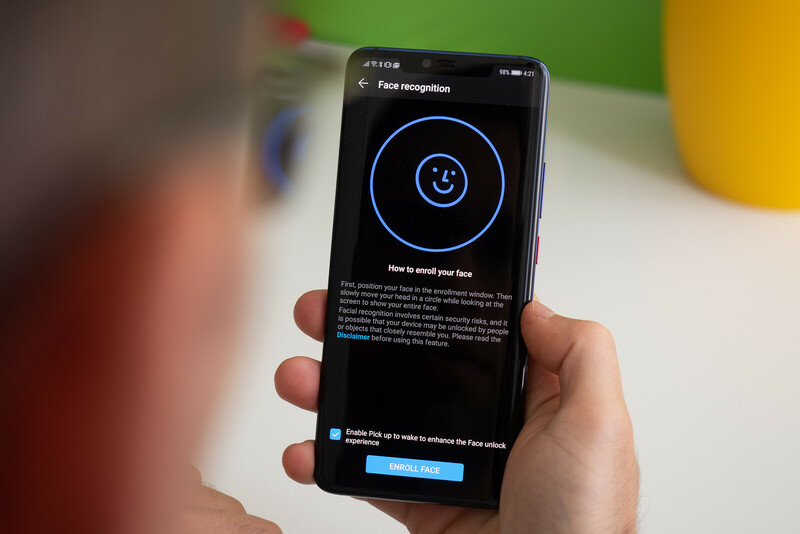 Face unlock is unreliable, but the fps scanner, and while it was inconsistent at first, it was a joy to use after the 2nd major the device received. The speakers while they're clear, they're so, so weak. The top speaker barely ommits any sound, it gives less than 10% of the output you get from the bottom speaker. The cameras are the best I've ever used. Battery life and charging speeds are one of the most things I miss after trading it for the Note 9. Screen, well that's the reason I ditched it. Not talking about gluegate, but the screen quality itself was way short of what you get in a Samsung or an iPhone. The BOE panel has severe color shifting, especially on the edges. The LG panel has uniformity issues that can easily be seen with gray or dark backgrounds when using the phone in a dark room, like when you're going to bed for example. But if I was to choose between the two, I am going with the LG panel, as it's also brighter and has lower battery consumption than the crappy BOE one. The UI is a personal taste thing. After using EMUI for the last 4 years i now quite like it and when i try a different phones UI i find them very weird. Dude I wish it's the same as 4 years ago! The whole emui was different, it started the real cloning with emui 5 8 and now 9!!! Both me and my wife have this phone. We both love it. I'm not really sure what people hate about EMUI so much. I've always found it to have a lot of features I like, like call recording and screen recording baked in. After a week or so, the gesture controls were fine with me. For those thinking it is 'jittery' or whatever, go into your settings and change the the animation speed to twice as fast. Makes the whole thing even quicker. What I REALLY love is the camera and battery life. I love being able to be on my phone all day, and then charge my phone for 15 - 20 minutes and be able to go another day on that bit of juice. Pros: - best camera phone still and videos. Period. - supreme battery life with it's massive 4200 mAh battery. No need to turn off anything to save battery life like other phones. It's awesome. - super quick charging it's crazy. - super fast chip that breezes through every app and game. - good quality screen. Not Samsung level of quality but it's there. Cons: - stock Android is miles better than emui. Huawei needs to improve on that. - bugs and jitters here and there in the UI. Could be fixed in a software update. - fps is inconsistent and needs more polishing. - face scanner although very fast also suffers from inconsistency. - I don't know if I'm missing something but I couldn't find a way to show notification on the lock screen and to launch any notification from the lockscreen. Very annoying. - also noticed their is a delay when receiving notifications from many apps, especially emails. Also very annoying. Overall great phone but Huawei should address the software quirks and we have a winner here for sure. Maaaan, you definitely love your Mate 20 Pro!! It's awesome but I have to address the cons it got there. Don't wanna turn a blind eye on that like the fanboys here do. Surprisingly good? Thats damning with faint praise. Why was is it surprising? Was the P20 pro not good? Was the Mate 10 not good? No was surprised that it was good except for iPhone arena. 5 cons? With one really vague one? iPhone arena living up to it's name as usual.